Cranky Toddler at a Restaurant - which Mom have you been? I think we’ve all been there. Your waitress has just brought your food to the table, you’re about to take your first bite, and a young family sits down in the booth next to yours. Their toddler bumps your seat, reaches for your side of the booth, or is just plain noisy during the meal. I also think we’ve all been the young family. You hope to take the little ones out to eat so you can get a break and enjoy being out and about, but your baby decides that’s the day to start fussing, whining, or being just plain noisy. 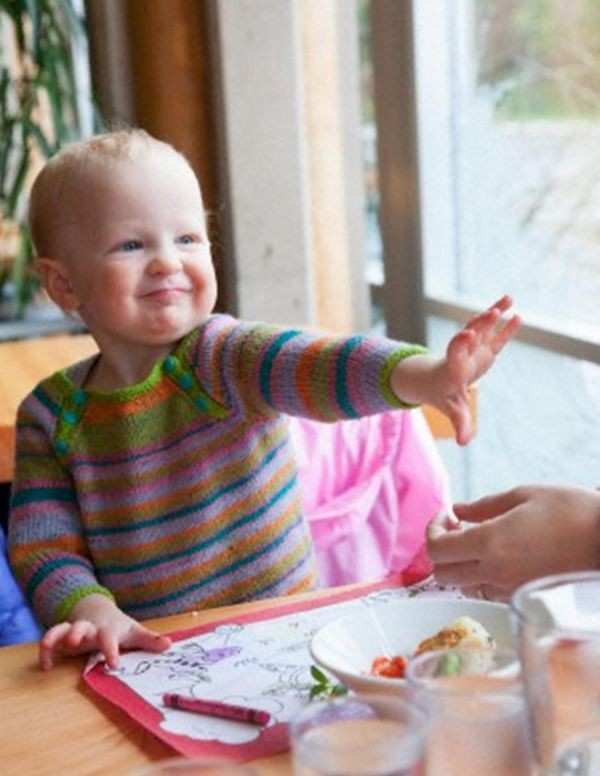 Well, the owner of a diner in Maine has caused quite a controversy this week because she yelled at a 21-month-old girl as she cried in Marcy’s Diner in Portland, Maine. Darla Neugebauer, the owner of the diner, is adamantly defending her actions, telling WCSH-TV that “Life’s full of choices and you’ve got to live with all of them.” According to Neugebauer, the girl had cried for more than 40 minutes and the parents had not yet fed the child the food that had been served to their table when Neugebauer slammed her hands on the table and yelled at the child. The girl’s mother, Tara Carson, turned to Facebook and shared that “anyone with young children should understand that crying is normal after waiting such a long time for food”. Neugebauer has found many supporters online and people are applauding her for helping to end an uncomfortable situation for fellow diners. Still, Carson is also finding supporters who plan to boycott Marcy’s Diner because they feel the owner should not have yelled at the child. Which mom have you been? Were you the mom with the cranky toddler or were you the impatient woman who spoke to the child who is cranky? I've been both mom to the cranky child and the mom in the next booth over who has tried to calm down the crankiness. My sons certainly can get unruly when we are out to eat, but when this happens (notice I didn't say "if this happens" - because it's going to happen! ), we go with the one-warning and we go home. If my child can't behave to the point he's disturbing other people, he shouldn't be around other people. What about you? What would you do? Do you support Marcy's Diner's Management?